Spring Tide is a theatrical dance concert with live music about love and hate. A spectacular international collaboration between choreographer Jens van Daele and the Swiss/French Ensemble Batida with two percussionists and two pianists. Together with six dancers, they put Stravinsky’s Le Sacre du Printemps through the wringer and adapt it into a free, contemporary version. Dark thoughts and blossoming love letters tumble over each other. Amidst an interplay of attraction and repulsion we see memorable duets and ensemble work. 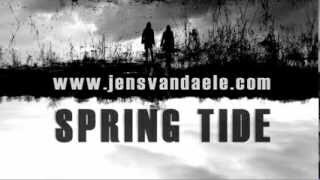 Spring Tide is different, intense, poetic, and energetic. Created with the support of Provincie Oost-Nederland, Gemeente Arnhem, Fonds Podiumkunsten, SNS Reaal Fonds en Prins Bernhard Cultuur Fonds.